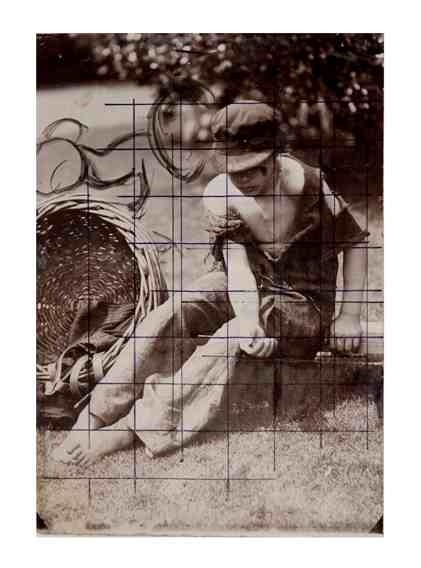 Frank Brangwyn, Preparatory study for the Skinners’ Hall Murals, c.1905. In photography we have no or few shared standards. The camera club virtues (perfection in the craft skills of photography at the expense of any or every notion of expressiveness) are not by any means to be mapped to the virtues aimed at by the members of World Press Photo, artists working in photography, or professional wedding photographers. It is not, in general, a very controversial thing to say that “we have standards”. It is not awkward to expect that some jobs are better finished than others. Try to get a little more specific than that, though, and standards are fiercely difficult to apply. In photography, as in many art forms, we resort to the crude ways of keeping the score of the hedge-fund or the investment bank: numbers and particularly currency numbers. Platinum records, best-seller lists, highest-grossing film releases… The great auction houses routinely spew out press releases announcing the breaking of this or that ‘record’. Their diligence must have contributed a lot to the fashionable notion of art as an investment area. Do note that they never send out releases announcing unsold works in a sale or a price well below that expected. To get those figures calls for investigative reporting, and that, for complicated reasons, barely exists anymore. Photography — although not immune to that kind of lowest-common-denominator boosting system (see for example the self-promotion of the Australian landscape photographer Peter Lik, who claims on his website as at September 2015 “to now hold four spots out of the top twenty most expensive photographs ever sold” ) — has not so far succumbed wholly to it. We can still see that lots of good or excellent pictures have not sold many times or for high digits, and also that lots of money continues to be made by pictures plainly junk. Drifiting Shadows by Peter Lik. My spellchecker unkindly offered YUK as a suggestion for the name of the photographer. To rank any artworks higher or lower by more subtle gauges than those of the stock exchange ticker is to invite contradiction or dispute. People quite naturally disagree with rankings, propose alternatives, scoff at comparing what they consider non-equivalents… If it seems probable to me, say, that Pat Barker is a “better” novelist of the Great War than Sebastian Faulks, (which it does), am I immediately looking for a punch in the mush from some outraged fan of the opposite persuasion? I could make arguments to back up my claim – starting with the coarse circumstantial one that Faulks, former books editor, male, and fully paid up member of the London literocracy, has had a number of advantages in generating favourable attention that Pat Barker has not had. I could add a few more of these broad contextual strokes, and then dance into the texts, and so make my case. But why would I? What does it mean to invite comparison between one artwork and another? How does the unexceptional thought that there are standards become transformed into bellicose or at least provocative dispute as to what exactly they might be or where they might precisely be found? I don’t exactly know. But I do know that the weaselly pretence that all art in any domain must be equally good is just a flight from a difficult series of questions. Without shared standards – which some artworks must almost by definition fail to achieve – we can only be subjective. Aside from the question of all those photographs with good pretensions to excellence but no pretensions whatsoever to art, you might well feel that in the criticism of photography we’ve had quite enough of that. Subjective judgment is the rule not the exception, and no attempt to systematize that seems ever to have got much traction. My feeling is that this is not a flaw but a natural consequence of some of the central elements of the medium. Several modes of criticism quite routinely cohabit. Which is the same as saying that a number of separate standards are in operation. There is what we might call the style of the late Sir David Frost – in which everything is “Super, Super”. By that standard, the work under consideration is always excellent. Good things that went before – and most especially better things that went before – have no place at the table. This is the standard of the press release, and the press release is a form of writing which has grown exponentially during the ‘information age’ of fast digital communication, and whose influence, I think, has grown much more in the art world than is easily realized. I can’t say I have lived through the invention of the press release. US sources routinely credit Ivy Lee with that, for the controlled way he managed news of an Atlantic City railway crash in 1906. (Upton Sinclair, in his novel The Brass Cheque – in which Sinclair gave an account of Lee’s corrupt handling of the press on what became called the Ludlow Massacre, a mining strike in 1914 which escalated into violent reprisal ­– scathingly dubbed Ivy Lee “Poison Ivy”.) I suppose there have been people detailed to claim the attention of the press from the art world as long as there have been mass media. But the role has grown and spread and drawn little comment in doing so. Now we’ve reached a point where even the tiniest arts organization has a PR person – or an account with a PR firm. Individual artists have PR people, all furiously spinning away. Public cultural institutions spend tax-payer’s money on PR, wads of it. There has grown up and flourished a kind of art-writing which is no more than reheating the press-releases that these people pack up and pump out, and it sometimes is pretty disgraceful. In photography, notably, where there are very few specialist critics, one can trace press releases right through into general acceptance. As a person in the business I receive a lot of press releases and I can often see large chunks of them appear in finished articles over the name of a supposed ‘reviewer’ or ‘previewer’. Even when that isn’t quite so, even when the words are altered, I can see the point of view of the release unquestioningly reproduced with no more than a shift of expression. In an era when deadlines are tight, and when ‘content’ is so often no more than space-filling, when pay for arts journalism has barely increased since the 1980s and journalists are under more pressure to produce stuff than to make it interesting (or right), one can have a certain sympathy. What is a writer to do, asked to produce three hundred (or seventy-five!) words on an artist they’ve barely heard of in a field whose very Peles and Maradonas are all-but unknown? That’s what the press release is for. But perhaps what comes out of that system shouldn’t be called criticism. It’s something else: puffery if you’re feeling nasty, background information if you’re feeling generous. Reheating a press release may let a reader or a listener know what’s going on; but it will hardly inform her or him. I can’t prove it, but I think one could say that there’s more writing in the information age, and less reading. People read fast, they are satisfied with the surface reading, they don’t use much detail. Whereas the production of texts rises and rises. Many of them are produced to sell something, only it doesn’t necessarily appear so in the final context. That’s the world of press releases. It cannot be discounted in seeking to understand what standards apply. Photography is the area I know, but I doubt it’s very different elsewhere. Culture is made to fit into the system we operate, and is divided up to be sold as product. A great deal of what purports to be criticism is too close to marketing for comfort. But not all. Some still argue that technical perfection is the only standard worth achieving. A ‘good’ photograph then becomes a well-executed exercise in doing what cameras and computers can do. A lot of people sneer at that: it brings to mind camera-club contests in which producing even curves in Photoshop is more important by far than having anything to say. I’m the first to say that I’m not specially interested in ‘perfect’ pictures of ‘perfect’ drops of water falling off the very end of ‘perfect’ rose leaves. But sneering is no good. A great deal of the photography that we are most influenced by is made along precisely those lines. Much more commercial photography is made like that than perhaps we notice. Car pictures – ever so shiny. Travel pictures – no politics. Fashion – has to show the clothes. Portraiture, lifestyle, below-the-line, art, sport… The rules by which serious and experienced professional people judge photographs in their particular neck of the photographic woods are often particular, sometimes absurd, and not always tenable in the abstract. 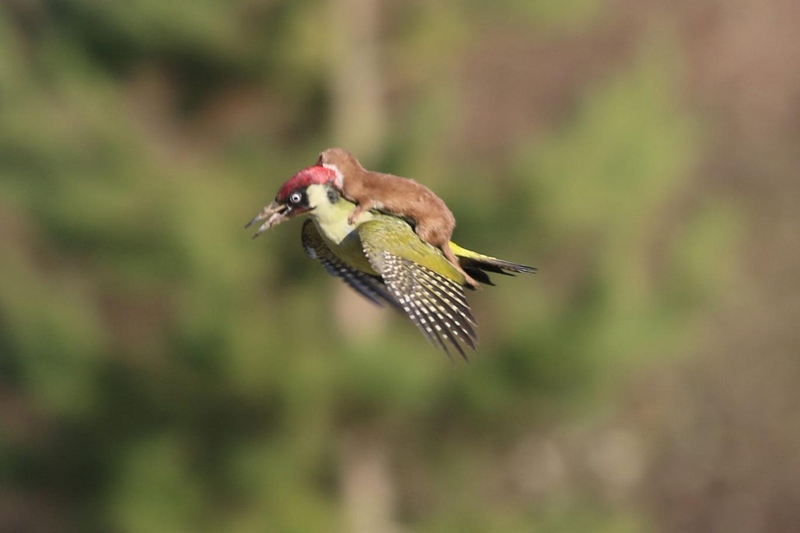 A Weasel Rides on a Woodpecker, by Martin Le-May, 2015. This picture ‘went viral’ and one can see why. Nobody who saw it had ever seen such a thing before. We can sneer at camera club rules by all means : the prissy precision, the lack of tolerance for doubt or ambiguity, the rejection of metaphor and wit, the preaching only to the like-minded… but if we do, we have by the same token to sneer at lots and lots of photographic activity which is usually deemed more important, more interesting, or more influential than that. Rooney Mara as Lisbeth Salander ( The Girl with the Dragon Tattoo ), photographed by Jean-Baptiste Mondino. Famous, famous photographer, but the picture? Shall we be charitable, and say simply that everybody is allowed an off day? I continue to believe that we are less confident in arriving at shared standards (however modifiable or temporary) in photography than in any other cultural activity I know of. I don’t hear people hesitating to rank pop songs or movies or books. Yet we commonly really hesitate to say “this is a better photograph than that”. Or when we do, we fall back on absurd mechanisms to justify it. One is the one I mentioned further back: if we leave a space in applying standards because we don’t quite know which standards to apply, the whole press release industry will be quick to step in to the void. The other is related, but slightly different. It’s the grim culture of name-checking. Annie Leibovitz worked for years for Rolling Stone and Vanity Fair and so on. She has had books published by such eminent publishers as Jonathan Cape and Random House. Good galleries have sold her prints. Does any of that make any particular picture by Leibovitz any good? It does not. Do people cite these things as though it did? They do. This speaks to me of a lack of confidence in those making judgment. We are too far along the many roads of photography ever again to think pictures good merely because they are sold at White Cube or Gagosian, shown at the Maison Européenne de la Photographie, or written about in the Journal of Visual Culture. 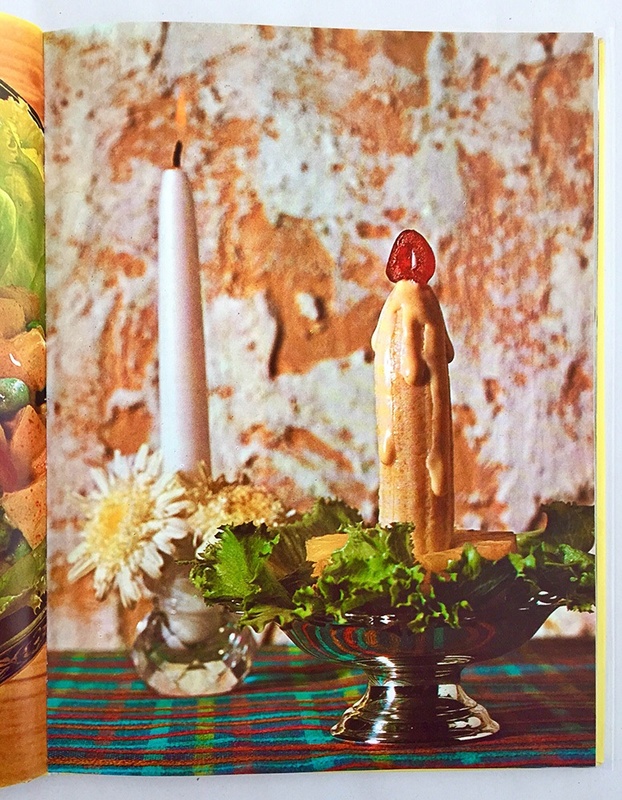 From Be Bold With Bananas, published by Fruit Distributors Ltd, Banana Importers of Wellington, New Zealand . Undated but 1970s. I seem to have come to this amazing book later than many others. I was pointed to it by Rudi Thoemmes. Photographs are often given their importance by someone other than the photographer. I am beginning to think that a fine ‘receiver’ of photographs can make any photograph ‘good’, whatever its previous status. More than that: I find myself wondering whether I have ever known a photograph to matter at all until it has been granted the extra heft of somebody somehow receiving it and giving it its position in the world. Receiver of photographs? Well, a number of roles centre around receiving photographs carefully: picture editor, internet harvester, lawyer, curator, creative director, collector, art director, critic, historian, designer … I’d like to add photographers; but their inclusion confuses the issue. Fundamental among them, however, are what used to be called laymen, who are sometimes now called the general public (the contempt for their not being specialists is barely concealed). It is among those who don’t make the pictures but who read them or use them with care and culture that I think the standards are set. Many of those people are not ‘image-professionals’ in any real sense. A trivial family snapshot, recovered a generation later by strangers, is not much without the simple accolade of a plain caption of place and date. But much can easily be made of it. Think of the novel Miss Peregrine’s Home for Peculiar Children by Ransom Riggs. This odd best-seller was apparently written in part around the vintage photographs which dot its pages like milestones. The pictures are anonymous, salvaged. They were nothing. Now they are something. Riggs treated them as material for his book, in the same way that he treated his own memories, odd facts about places (like Wales) and so on. That doesn’t necessarily give them excellence. But it does take them straight from their pre-Riggs indifference to something which only a very small proportion of the floods of photographs ever acquire: once they’ve been in the novel, they are interesting. You could look at them in detail. You could write about them. You could start to work out stuff about their puncta and their studia. I think this counter-intuitive idea of pictures acquiring whatever importance they have later in their existence is important. We are used to thinking the opposite: that pictures conform to a pre-photographic pattern whereby they are either pregnant with importance or not from the outset. You are commissioned to paint the walls of one of the Scuole in Venice. The job will be important; you can depend on it that future members of the guild will ascribe to the pictures the importance that they have from the outset. Art historians and curators and others could add to the lustre, but probably not create it outright. That was the usual pattern in the days when pictures were rare, and the pattern which we thought would not change as they grew more common. But everybody is a picture editor, now. My 12 year-old son pointed out the absurdity of an advertisement on TV in which a computer-generated time-lapse medieval town growing at speed was shown on a landscape which anachronistically contained an unmistakably twenty-first century wind farm. The CGI needed a base, he said, with neither any great sense of showing off, nor any great wonder, and the base hasn’t been properly cleaned. The customer is an experienced editor, now, even when he’s twelve. This corresponds to a wider shift. All over the intellectual landscape, mandarinate and professional specialism are having to share space with broader and unmediated access to knowledge and opinion. Interest in history has been shifted from professional historians to a wider group coming at it from angles in ‘heritage’, genealogy, town-planning, tourism, and so on. So in photography, all sorts of people are now routinely in a position to grant to pictures a status they did not have before. We can no longer assume that pictures are important just by virtue of being pictures. Grant them a modicum of thought, of emotion, of context, however, from whichever angle, and they can be given that importance at any stage in their trajectory. Find a way to tell the story of pictures and they become more than they were. I even wonder whether the great shift towards multiple readings and alternative but equally valid positions which is such a mark of the intellectual colour of our time, at least in the more-or-less liberal West, did not in fact originate in photography . A number of the better histories of photography consider ‘alternative’ pictures (those which had no place in the previous formal history) and give them leave to elbow themselves into contention. A fine example of this is Ian Jeffrey’s ReVisions – the magisterial catalogue of the first exhibition at the (former) National Museum of Photography Film and Television in Bradford after a major rebuild and rehang in 1999. Jeffery talks about ‘homeless’ pictures – those which don’t fit comfortably into whichever plodding conventional value system dominated at their time. But it is hard to ignore that it is his own attention granted to them — often a hundred or more years after they were made — which in fact finds them a home. The minute they found a way into the show and the book they weren’t ‘homeless’ any more. Photography seems to be cumulative in a paradoxical way: as soon as sustained attention is granted to a photograph, it becomes capable of bearing sustained attention. A magazine sub-editor writes a caption about a topical sports picture; and the picture which was one of twenty or a hundred under consideration to occupy that particular space on a page, has suddenly acquired a context. It’s gone from being graphic ‘noise’ – we might almost call it a potential picture – to being a whole picture, with a modicum of meaning, history, value and so on. A lot of photography is recovered through the internet, edited into modern versions (or parodies) of the old cabinets of curiosities. Just as it wasn’t obvious that the stuff in the Wunderkammern was interesting until it was just there, with just those other objects to left and right, just that owner, and just that audience, so it seems that pictures are often nothing until they are given a place in the world and in our thinking. That place may be granted formally or informally, but the granting seems always to have to take place. A hard drive full of images is neither a work of art nor a research database nor a ‘collection’ until somebody says why they’re there, or why she thinks they’re there, or suggests something one can take from their being there. A single picture held to a refrigerator by a magnet may well be a more telling piece of communication; it very likely is. At the very least, somebody has chosen it over others to occupy that place where it is to be seen. The Dutch curator Eric Kessels recycles old, often anonymous pictures from flea-markets into something that matters much more than it ever did when the pictures were still part of the life-baggage of the original owners. Who then is the real source of the meaning and mattering in the pictures – anonymous and unconscious photographer, or active and deliberate curator-creator? From In almost Every Picture No. 9, collected and edited by Erik Kessels. 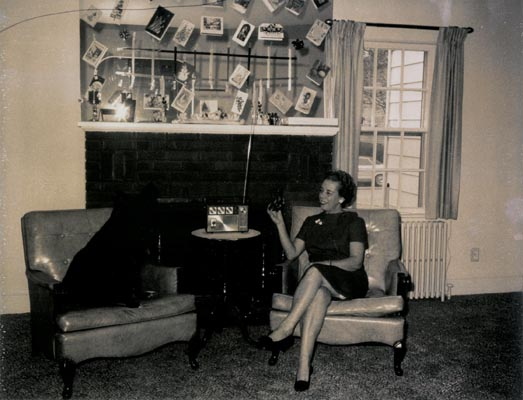 A brilliant book about a family’s inability to photograph their black dog. I look around and I see the same phenomenon everywhere. Crap pictures from stock libraries enormously enlivened by a smart context in advertising. In many books by W.G. Sebald, the pictures are a ‘source’ for the text, but even as they inform the writing, they are granted by it a status they didn’t have before. I once spent a considerable amount of time researching a carte-de visite of an unnamed young man. It remains probable (but I was never able to prove) that it was the earliest known photograph of Vincent van Gogh. The photographer didn’t particularly care: a client. The various owners whose hands it had passed through didn’t particularly care: a picture. If I had been able to join up the dots, though, it would have been a historical document and no doubt quickly a well-known one. A nothing photograph becomes a something photograph at an unpredictable point in its continued existence, and the transition from nothing to something is by no means always along predictable lines. That is the lesson we learn. The root sense of the word curate is to take care of something, and by extension, to care about it. Taking care of photographs seems to be in a very real sense the crowning element in creating them. Only occasionally is the extra mattering granted to the pictures by the same person who made them. That throws a rather different light on criticism, of course. Because if I’m right, and pictures are more usually dead until somebody’s act of caring breathes life into them, then criticism ( in the widest sense ) makes the pictures. They may never have said or contained what the critic claims they say or contain until after he or she has written. But nothing can take that content out of them afterwards. Seen in that light, well-known pictures are in some way the accumulation of the various intellectual and emotional positions that have been held about them; less well-known ones have less of that heap of ancillary content, but if they’re under discussion at all, they have the beginnings of it. I understand that all this might sound like special pleading on my own behalf. I have never been a photographer, after all, and have certainly been a receiver of photographs in one role or another for many years. What could be more natural than that I should argue for the primacy of my role and for understating of the role I have never had? All I can say is that I think the argument has validity notwithstanding my own position and in spite of it. Put simply, I think we all finish photographs in our own ways; I just happen to represent that more specialised type who has tried to make a living at it. That’s only a question of degree. How does this get us to the question of standards in photography? It seems that photographs are hardly finished until they are ‘cared for’ – which may be as simple as pinning them to refrigerators, as it may include writing scholarly catalogues of them. The caring does not require any special language, does not presuppose any particular purpose, and nor does it have to address an audience self-identified as having any special aptitude. I have described this elsewhere as finding or granting to photographs whatever ‘mattering’ they might be said to bear. It may well be that this extraordinary attribute, of being incomplete until under interpretation, lies at the heart of our historical difficulty in finding shared standards in photography. It may be mildly depressing to have to admit that there is no such thing as a good or great photograph – only a good or great response to it. But it is also an extraordinary confirmation of many of the central strengths of photography. Photography is portable, transmissible, transcultural, available to almost everybody to make and receive. It has an intimate proximity to reality and yet is separate to it. It has always been vernacular. It is a kind of time-machine. It is capable of triviality beyond endurance and yet is the main visual literacy of all of us and many of the various truths we know we know through photographs. If no photograph is fully made until someone confronted with it finds that it moves him or her to a reaction, then photography is even more pliable and supple a thing than we knew. It has no standards of its own. It merely challenges us to refine our own standards in the face of it. To receive photographs well then becomes to keep one’s own relevant standards in mind, to keep them ready for revision or refinement, and to hold the photographs up to them so that the light of each shines on the other. I cannot tell you what particular intellectual equipment must be brought to bear on any photograph. Any one of them may need historical, moral, scientific, visual, social, sexual, verbal, mythical sensitivities or others, in combination or together. But they do need some of those things to be engaged if they are to be more than dumb slices of reality on a page or a screen. No engagement (I’ve called it no ‘caring’) means no mattering. Under the system I’m describing, photographs not only remain capable of analysis – which they must do if they are to be treated as plain ordinary cultural objects like any other – they actively need it. However rudimentary or vernacular that analysis — it may be no more than the choice of a place — it is that which makes a photograph complete. We can conclude that pictures are not made just to be seen. They are made to be thought about. The question then shifts. It is not mysterious that different people judge photographs by different standards. The question is no longer how good is the picture, but who says so, and how good are the standards that they apply? I wrote the first draft of this in the days immediately after a number of Western tourists were killed in an Islamist attack at a hotel in Sousse, Tunisia. In the UK coverage (a number of the victims were British) no mention was made of how very odd – I almost use the word provocative – it is to remove almost all of one’s clothing in public in a Moslem country. Yet that is what many of those who were killed had done. The truth is not limited to their corpses in the sand. It would have been difficult (but I insist it would have been possible – if only because so many ‘impossible’ pictures have been published before) to make pictures which addressed this question of the colonialism of mores. Selective distortion of this kind is the norm in photojournalism; don’t let any photojournalist tell you that her truth is The Truth. I am grateful for this reference to my fellow-critic Colin Pantall, who I think liked the book better than I did. But he had read it when I had not yet heard of it, and kindly passed it on.